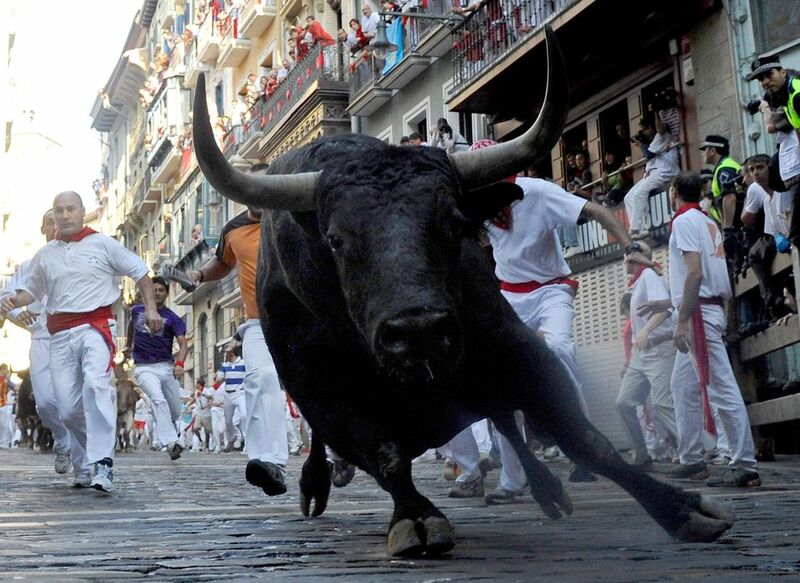 Most visitors to Pamplona want to go during the San Fermin Festival, eight days of street parties, bullfighting and the morning bull runs that encourage brave Spaniards and drunk tourists to run in front of a pack of angry bovines. But accommodation can be hard to come by at this time of year, so you might want to consider staying in San Sebastian and traveling over to see the festival. But bear in mind that the bull runs are very early in the morning, at 8 AM. So unless you have your own car, you'll need to check if there is public transport at the right time to get to the festival. If you don't want to get up so late, consider staying up late instead. There is partying all night throughout the festival - most people who watch (or run) the bull runs haven't slept. Note: these times and prices are subject to change and are intended as guidance only. Please check the websites for current prices and timetables. Also be aware that the Basque language word for San Sebastian is 'Donostia'. You may see both on timetables, or just one. If you plan your trip far enough in advance, you can get reasonably priced accommodation in Pamplona. San Sebastian is a great city and should definitely be on your itinerary when in this part of the country. But there are other options for staying close to Pamplona during the festival. Logroño is the capital of the Rioja wine region and has a tapas scene to rival that of San Sebastian. Note that trains rarely leave in the middle of the night from anywhere near to Pamplona. If you want to travel overnight to save on accommodation and arrive in time for the festival, you'll need to consider traveling from further afield, such as Madrid or Barcelona. But really, you'll be missing the true party experience of San Fermin. The train from San Sebastian to Pamplona takes under two hours. There is no morning train that arrives before the bull runs, so you'll need to stay overnight to see the bull runs. There are only two trains a day, costing around 25 euros.